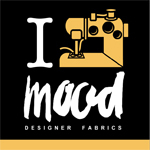 Did you know September is National Sewing Month? I think this is the first time I’ve heard about this kind of thing early. I’m usually the one saying “crap, last Tuesday was International Talk Like A Pirate Day*, I missed it again.” My plans for National Sewing Month are not particularly grand. I’m hoping to finish a couple small projects this weekend, and then I’m off traveling for the next 10 days, so there will be no sewing – I’m hoping for a few good fabric purchases, though. I finished a pair of PJ pants from McCall 4007 the other day and got pictures today – here’s the review on PR. Once I get back, I’m hoping (fingers crossed) the crazy late-summer heat will have faded, and I can start to wear (and make) regular clothes again. I’d still like to make an outfit for my sis-in-law’s wedding, but despite my searching I have not found a fabric/pattern combo that I like, fits my skill level, and isn’t ridiculously pricey. One way or the other I’ll have to find something to wear before October. I have a pile of coordinating fabrics and a draft plan for my Timmel SWAP, but I don’t plan to start on that in earnest until Christmastime. This fall I want to finish lots of my UFOs, get some other long-planned projects going, turn some of the quilt blocks I’ve swapped into completed quilt tops, and figure out the buttonholer on my machine. *Not made up. Totally real.